44 Magnum Bullet Pocket Knife | BUDK.com - Knives & Swords At The Lowest Prices! 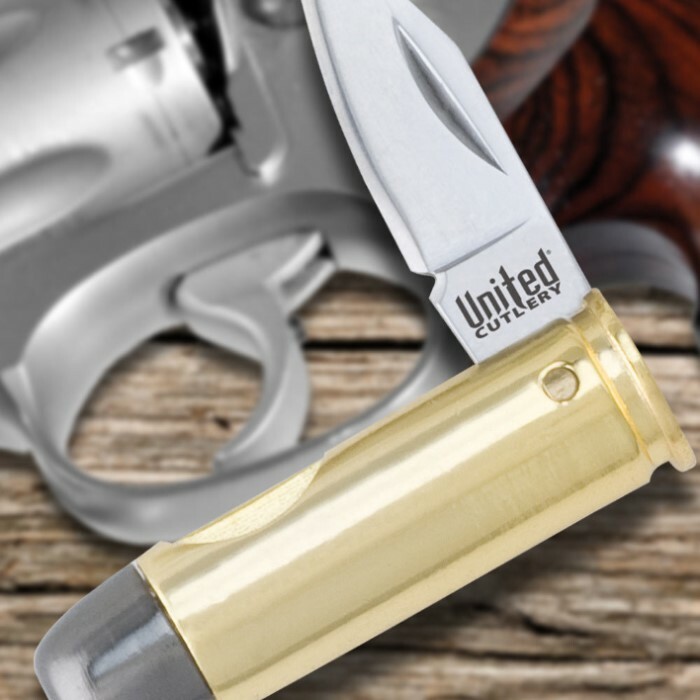 United Cutlery's .44 magnum bullet knife has been around for decades and continues to be a great seller, offering authentic size and brass-plated cast metal construction. This knife is so cool! All my friends ask about it. It came sharp and hasn't dulled yet! such a little beautiful knife. it was razor sharp when i received it. not as easy to sharpen because of its novelty appearance, but still manageable. over all i love this little guy. Good little product, though mine came pretty scuffed, and also make sure you note the size, it is VERY small, no longer than two inches closed. Nice piece. 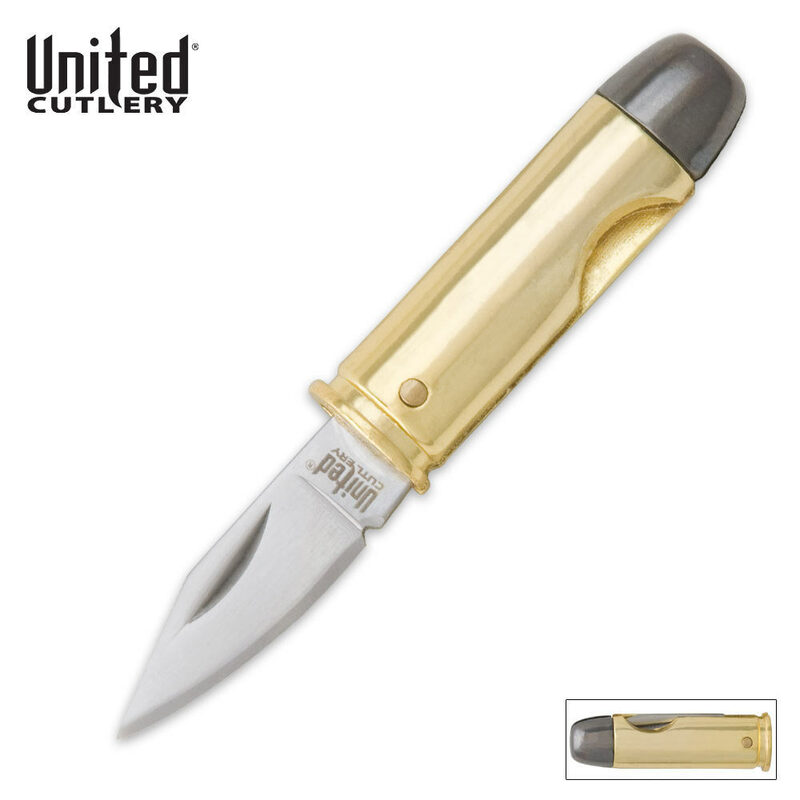 this bullet knife is so awesome! i wear it as a necklace and it comes in handy every day, i dont go anywhere without it. truely a great buy!